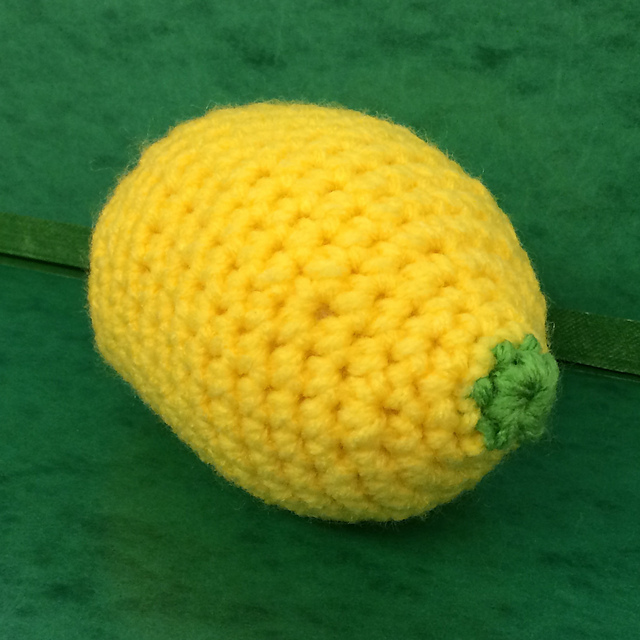 I have crocheted my fair share of "food" over the years. 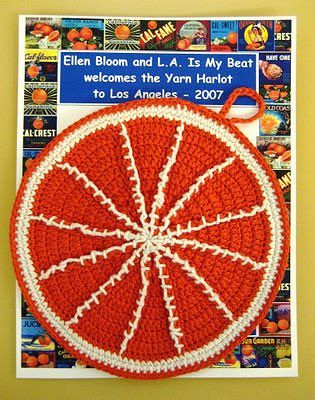 I've made cookies, orange slices, felted eggs with bacon, lemons, apples and my crocheted taco that resides in the World Famous Crochet Museum in Joshua Tree, California. Last year, for my birthday, my friend, Diane crocheted the most adorable macarons for me. 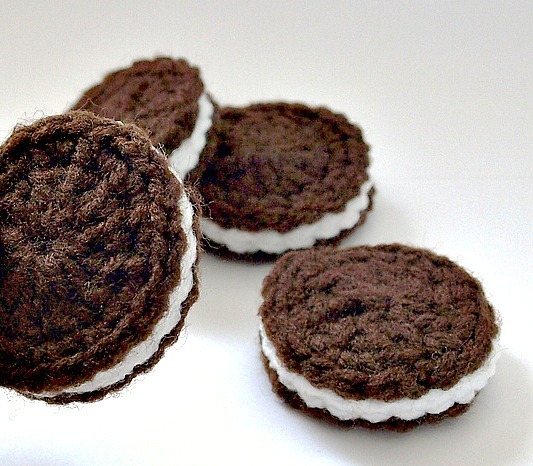 Yes, I LOVE crocheted food! 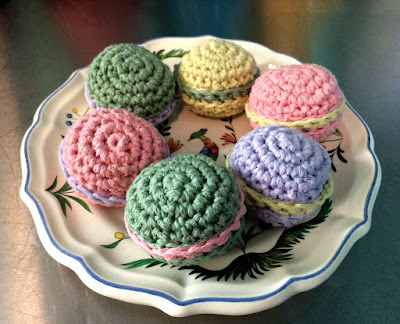 My friend, Audrey is crazy for crocheted food. She requested that I make her a sandwich. I love a new challenge! 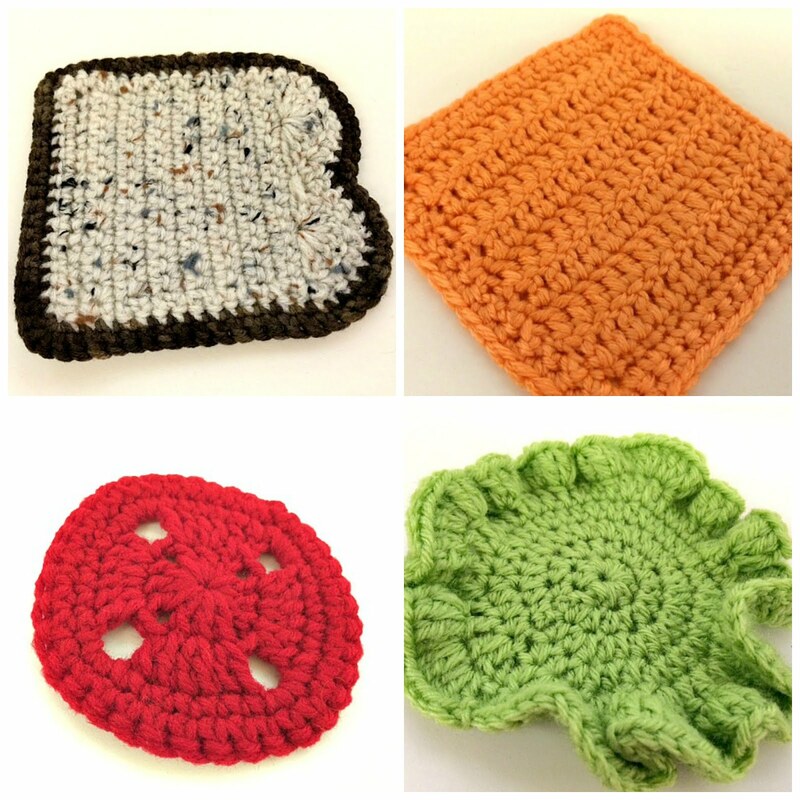 I found this adorable pattern on Ravelry called "Playtime Sandwich." Instead of using crochet cotton, I used acrylic yarn. My bread has some visible, healthy grains in it. Also, instead of Swiss cheese, I decided on good ol' American cheese. 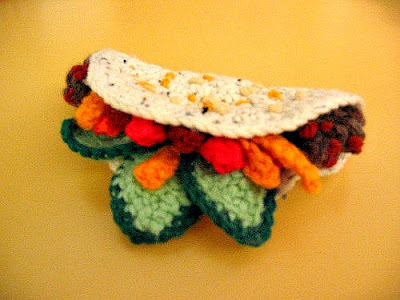 I do think that this cheese, lettuce and tomato sandwich needs a slice of ham or SPAM, don't you? Time to find that mauve yarn! Hysterical! 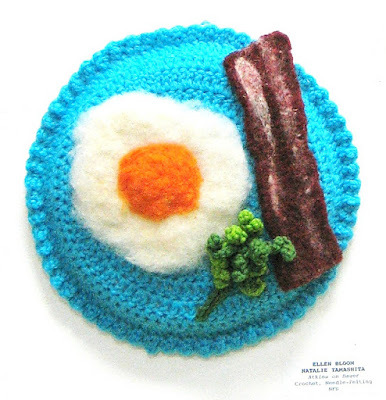 Love the crocheted food, all of it! Thanks, Gale. 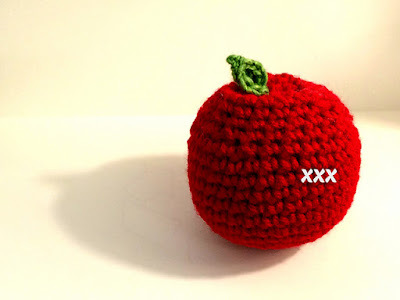 I knew you'd like this!